Mike Fortson, my dear friend, colleague, regular contributor here at TUFOC and direct eyewitness to the large v-shaped craft that flew over Arizona in ’97 (AKA The Phoenix Lights) died from cancer last Sunday, May 31st (2015). I believe it has been over ten years since I first sought Mike out concerning he and his wife’s sighting of a huge v-shaped craft that would (erroneously) be labeled, The Phoenix Lights; in short order—we became close friends. Mike called me “his best friend that I’ve never met,” something his beloved wife Nanette reminded me of when I spoke with her on the phone today—the feeling was certainly mutual. I was born February 24, 1953, in Hertfordshire, UK. My parents are both Americans from Indiana. My father was a staff sergeant in the USAF stationed in London. I spent the first 18 months of my life in England, then Georgia for 5 years or so. Then in 1959 we moved to Kokomo, Indiana where I spent the next 16 years. In June of 1972, I married my high school sweetheart [Nanette]. We have now been married for over 34 years. We have 3 sons, now aged 29, 30 and 32. Along with that comes the grand kids; twin girls 11, another grand daughter 8, 7, and my only grandson, 5 months. As I explained to Nan earlier today, the reality of Mike’s passing is just setting in, and to say I was taken aback is understatement. 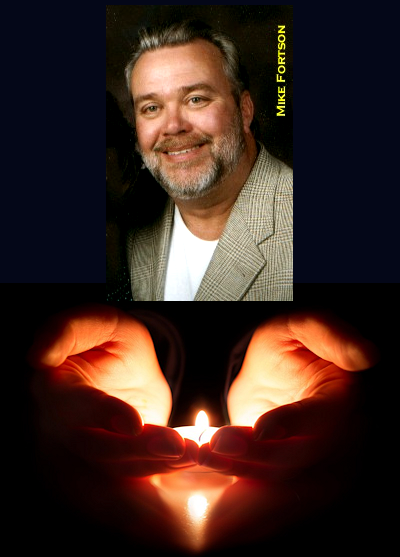 In the days to come I will attempt share some thoughts and we will be republishing some of Mike’s work in his honor. In the mean time we offer our most sincere condolences to his beloved wife Nan and all of the family. I loved him like a brother and will miss him dearly.